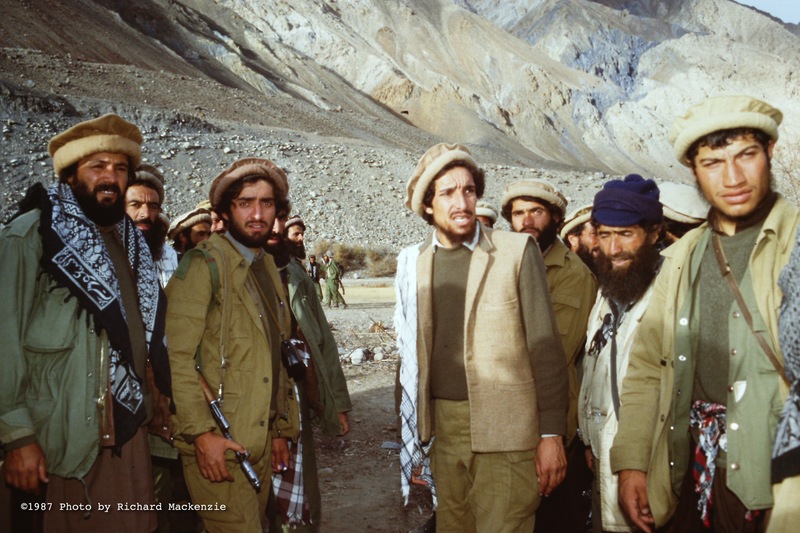 Ahmad Shah Massoud (center right), with Dr. Abdullah (center left) and other key commanders, aides and bodyguards in 1987. This is the first photo of Dr Abdullah that I have seen carrying a riffle. Great photos Mr Mackenzie – Humans are just travellers passing through space and time, but these superb photos will be enjoyed by generations to come.